Learn a language by chatting with native speakers around the world. For free! Native speakers teach you their language, while you teach them yours. 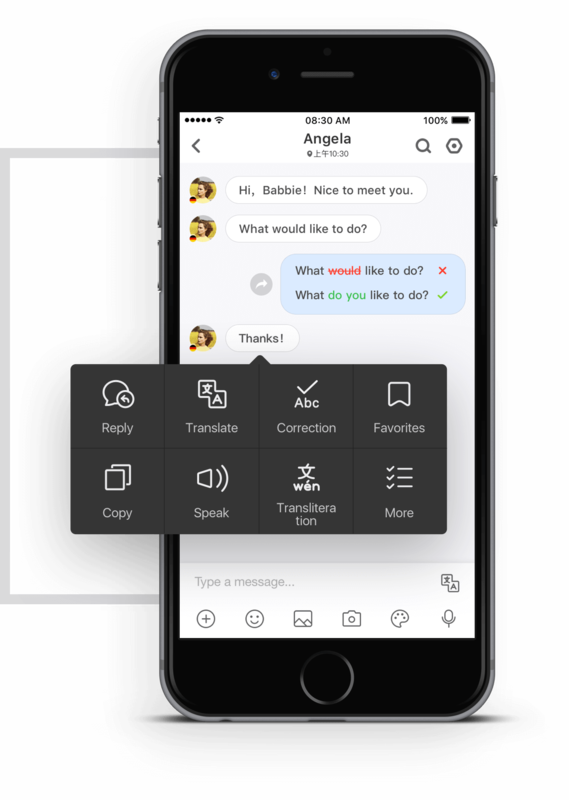 Millions of members are utilizing the powerful concept of HelloTalk to practice 100+ languages. Chat with language partners via text, voice recordings, voice calls, video calls, and even doodles! Whatever your communication preference, we have you covered. Built-in aids for translation, pronunciation, transliteration, and corrections make conversations run smoothly. Learning is as simple as chatting! 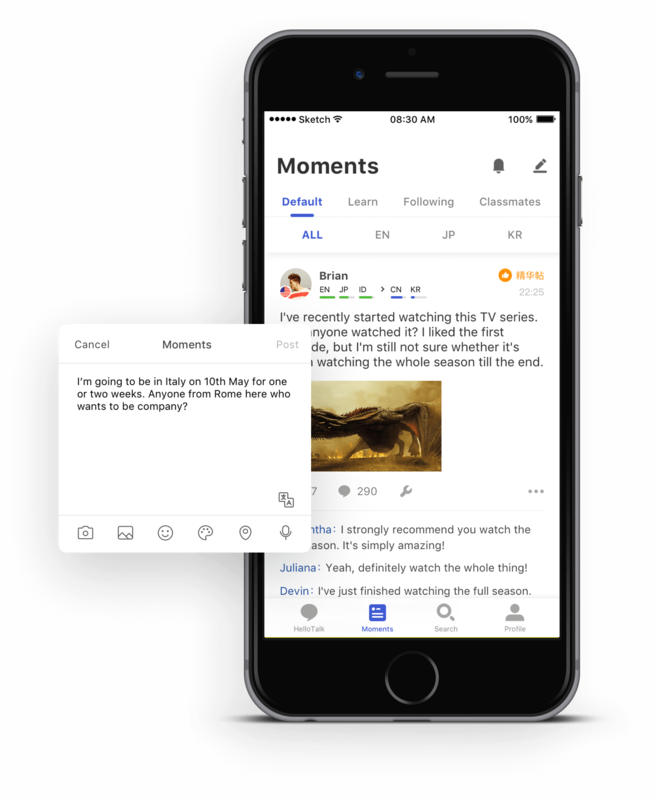 Engage with the entire community by posting Moments. These public posts are seen by all native speakers of your target language, ideal for asking questions and sharing updates. The best way to learn a language is to actually speak it! 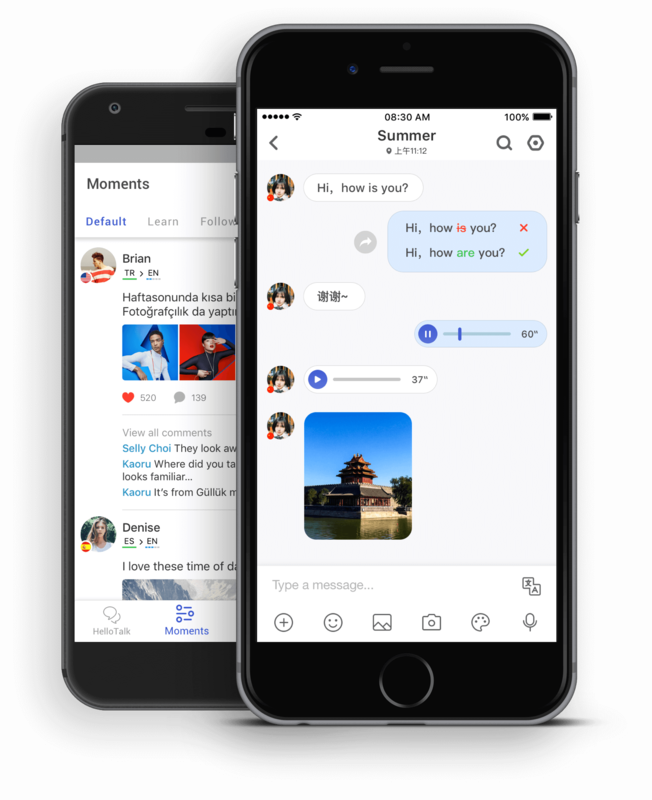 HelloTalk connects you with native speakers to chat with for free. But this isn’t your standard chat app. The interface is packed with innovative tools to make practicing a language fun and effortless. You can chat with individual members, or join group chats for a collaborative learning experience. Search for language exchange partners by native language, city, distance from you, and more. Whether it’s across the world or across town, you’ll instantly find suitable partners to begin a conversation. What if you could connect with all native speakers of a language at once? Moments posts allow you to do just this. Share an update or ask a question about language, culture, or travel for native speakers to see and comment on. It's never been this fun to learn languages. Millions of happy HelloTalk members agree!